Good Afternoon everyone. This weekend is the last full weekend Emily will be at home. She's off to Uni next weekend (Boo Hoo!!) so we have just been getting a few more bits and pieces that we think she will need. I am sure we will think of more things before she goes. My Christmas card for this week is using another of the new stamps from Nutcrafters. This one is called Winter Walk, isn't she fab!! I've stamped the 2 images, coloured with Promarkers and cut them out and then matted them onto blue card and then matted that onto blue glitter card. I've added 3 little pearls for the buttons and added the fake snow from B&M. The challenge this week at Bah Humbug is to use 'Paper Weaving' so I trimmed down the offcuts of the blue and glitter card, weaved them together and then cut out a cloud shape. I hope you all popped over to check out the relaunch of Nutcrafters this week and picked up the freebie digi. Good luck if you have entered the draw for the £10 voucher. Gorgeous card Debs,shes so sweet...Good luck to Emily starting uni next week. 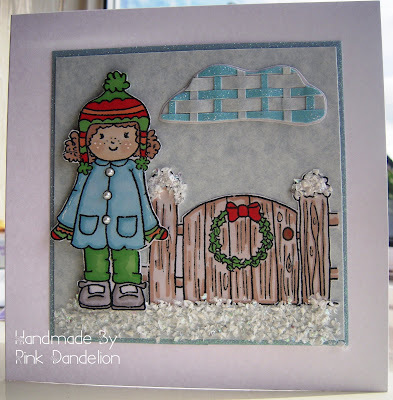 Great card - love the snow! Lovely card,oh christmas haven't even thought about cards yet! Fab xmas card, very cute. Awww, so cute, and your paper weaving on the cloud looks so effective (and yet tricky!) :) Fab snow too! I hope everything goes well with the preparations for Emily's departure. Your paper weaving is a lovely original idea for the cloud. The paper-woven cloud is inspired! How clever of you! Darling card and I'm glad you shared it with us at Bah! Humbug! this week. 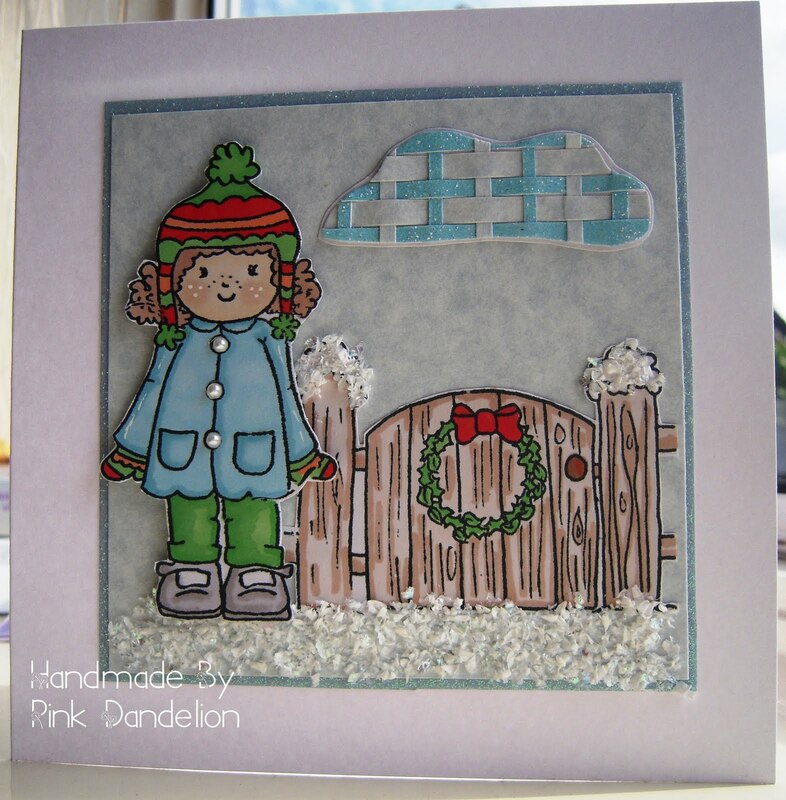 Debs your card is absoluitely gorgeous hun, the image is so cute and the snow looks fab. At the risk of telling tales on someone not here to defend herself ... Yes it was Ann's theme idea this week lol! Good luck to Emily - hope she enjoys this new adventure in her life and wishing her success in her future. Really sweet card and fantastic way of incorporating weaving. May have to 'borrow' that idea to perk up clouds lol! Hi my name is Deb. I am married to Chris and have two grown up children, Stewart and Emily. I am the secretary in a large GP surgery in Greater Manchester. Sorry, I really appreciate the thought but don't have the time to pass them on. Nutcrafters Challenge #1 Autumn's in the Air.